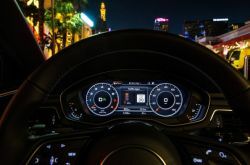 Luxury automaker Audi has improved upon its Traffic Light Information system by adding a Green Light Optimized Speed Advisory (GLOSA) feature, to help driver’s avoid the frustration of getting stopped by red traffic lights. The system works by suggesting the the optimal driving speed, so that a upcoming traffic signal is more likely to be green as the vehicle approaches. Jaguar Land Rover is trailing a new technology called The Green Light Optimal Speed Advisory (GLOSA) system, which allows cars to “talk” to traffic lights and inform the driver the speed they should drive as they approach intersections or traffic signals. On Thursday, President Trump signed a presidential memorandum directing the Commerce Department to develop a long-term comprehensive national spectrum strategy to prepare for the introduction of next-generation 5G wireless networks. 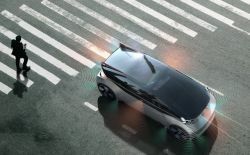 5G network speeds are a key requirement for the commercial roll-out of autonomous driving and connected car technology. Rental car company Avis Budget Group Inc. announced an agreement with the Ford Motor Co. to connect more than 35,000 Ford vehicles in Avis’ U.S. fleet. The connected vehicles will also provide valuable vehicle data to Avis, to help to car rental company manage its fleet of Ford vehicles. 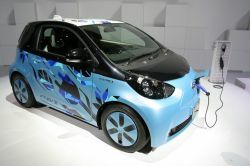 Telecommunications giant AT&T and Harmon, a division of Samsung best known for its high-end audio products, have co-developed a new device called the Harman Spark, which turns any ordinary vehicle into a connected car. GM has begun the automotive industry's first-ever embedded, in-dash fuel payment and loyalty experience with Shell gas stations. 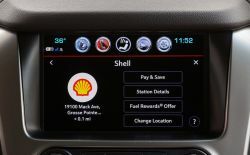 Customers refueling their eligible Chevrolet, Buick, GMC and Cadillac vehicles at Shell stations, will be able to use the Shell Pay & Save app available from the GM Marketplace to pay for their fuel directly from their vehicles' infotainment screen. Autonomic, a wholly owned subsidiary of Ford Smart Mobility LLC, and Alibaba Cloud, the cloud computing arm of Alibaba Group, have signed a Memorandum of Understanding (MOU) to bring to China the Transportation Mobility Cloud (TMC), a standard transportation and mobility solution for connected vehicles developed by Autonomic. 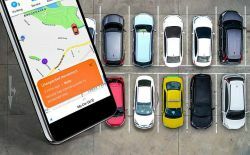 Aurora Labs, an Israeli-based company working on predictive maintenance solutions for automotive software, announced it closed an $8.4 million A round of financing led by Fraser McCombs Capital and MizMaa Ventures. 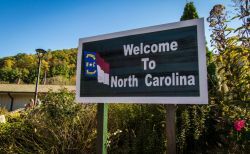 Aurora will use the new funds to expand its international presence beyond its recently opened Munich, Germany office and to expand its research and development. 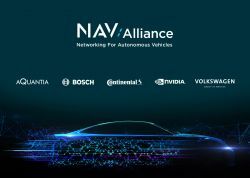 ​The automotive industry’s push toward autonomous driving and connected vehicles requires the transmission of large amounts of data from the autonomous vehicle to the cloud. 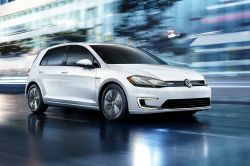 To support this need, major automakers, including Volkswagen are partnering with tech companies in a alliance to develop solutions for in-vehicle networks. U.S. carmaker Ford Motor Co said on Wednesday it signed a letter of intent with China’s internet search giant Baidu to develop artificial intelligence (AI) and smart connectivity in cars. 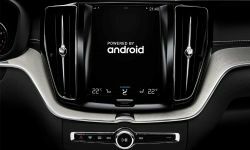 ​More than 70 leading automotive and tech companies, including Apple, LG, Samsung, Panasonic, Audi, General Motors, BMW, Hyundai, Qualcomm, and Volkswagen, have joined together under the Car Connectivity Consortium (CCC) to create the Digital Key standard for the automotive industry. 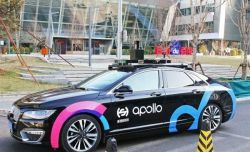 Baidu, Inc. and China Mobile announced a comprehensive strategic partnership in emerging technology including areas such as artificial intelligence (AI), big data and 5G, leveraging the respective core strengths of each. Hyundai is making it easier for drivers to pay for for goods and services right from their vehicle’s telematics unit, including gasoline, food, or parking with a new partnership with Xevo, which provides in-car purchasing options.